When you delete an assessment, please keep in mind that any scores associated with the assessment will also be deleted. Click on Trackers, and then click on the title of your tracker to open it. 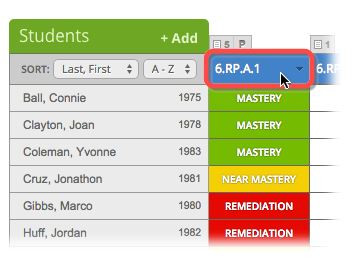 In the tracker, find the standard from which you want to delete an assessment, and click on the standard title. 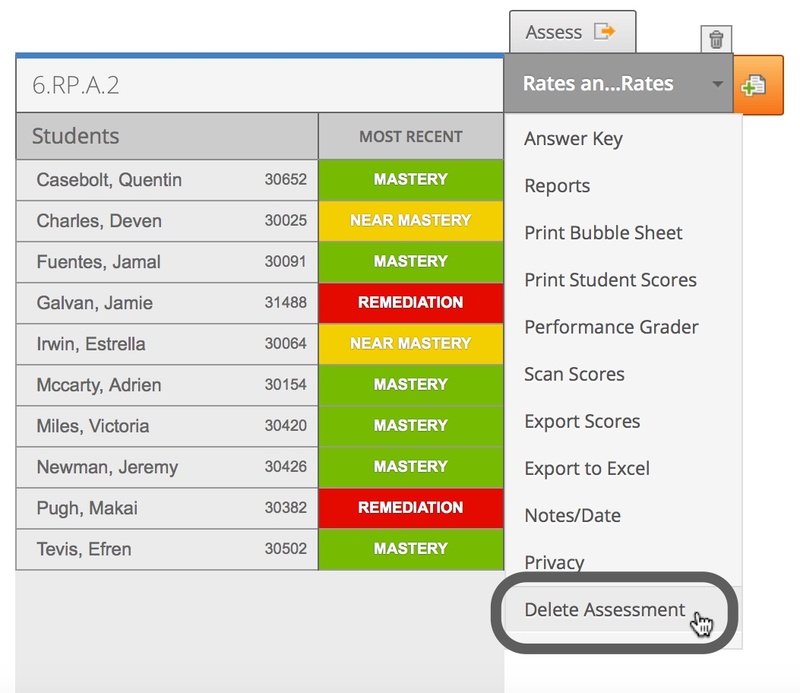 For single standard assessments, hover over the assessment title and click on Delete Assessment. For multi-standard assessments, click on the assessment title, hover over the orange menu button and click on Delete Assignment.